IQF blueberries have a long life span. They can remain frozen for two years without loosing any of their flavor or nutrition. Regardless of the freezing method, our berries are harvested at their peak of flavour and frozen immediately without preservatives or sugars to ensure the best quality product. During years past and prior to entering the value-added IQF processing sector, the company would typically set aside several thousand kilograms annually to be cleaned (de-leafed, de-stemmed and triple-washed) for block-freezing into 5 lb. consumer packages. It was a tiny first step into a now large-scale commercial operation in Maine. 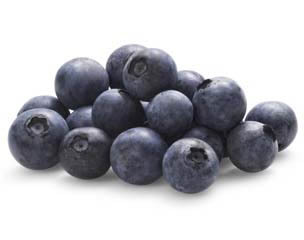 IQF (individually-quick-frozen) wild blueberries remains the product of choice for most market segments as it preserves nutrients more effectively than block frozen processing. Food and beverage processors, bakery operations, dairy companies and growingly the health ingredient sector have accelerated the demand for IQF product fueled by growing consumer awareness of the healthful properties contained in the fruit. Initially, our operations at Franklin will be limited to bulk totes for industrial scale customers and the industry-standard 30 lb carton for food processors. Other pack sizes to supply the food service sector and other specialty market segments are scheduled in the future. Over time we intend to seek further value creation through additional processing capabilities at the Franklin plant such as dried and ground powder product for the food and health ingredient market.